no trespassing, originally uploaded by jillysp. And a lovely view of the water. I like the complement of the blue sky and water to the yellow poles to the greenery on the left. Thanks to jillysp for uploading this to the BViB photo pool. Cool shot! 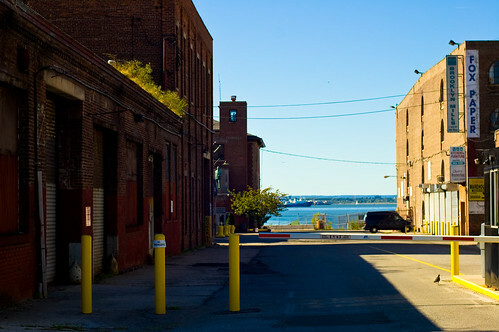 The industrial waterfront captured simply.